It looks to be about.. 12-13 of us? That number will either increase or drop though lol. considering the number of people we have, I think we can afford to have each of the house's decently filled! I'll probably take whatever house is the most lacking for my character, just to keep things even. And.. to get you guys planning, here's a cs sheet with all the info you'll need! You don't have to have all of this complete yet, but I'd like for you guys gto either message me or comment here with a rough idea of what you feel your character will be, just so we can get some statistics and I can eliminate any mary-sue's early on lol. Also guys, if you'd like to be a muggle-born you'll need to let me know early on as we're going to have more pure and half bloods then muggles. Do remember if your playing a non-muggleborn that although the wizarding world needs muggles their opinions on them haven't changed much. The prevalent attitude is still deeply prejudiced. They probably look down on the muggle-world even more now (maybe even slightly fear it) for their half-baked version of 'wizard magic'. My Anita is an adopted child, fostered by muggle parents. She doesn't know if she is muggle-born, half-blood or pure-blood. 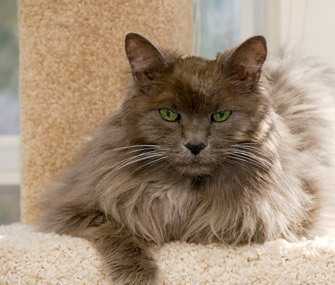 Anita tries to be as easy going as she tolerates but her tolerance isn’t higher than most of people. Before you pass the line she’s soft, forgiving and understanding but after it she becomes stern and prickly or sometimes as cold as ice. With her friends she acts hot, adventurous and bold and when a stranger is around she keeps to herself. Justice is her main morality and she is relatively religious. She believes that all people are born as equals but their choices makes them different as they grow up so she judges them based on their choices. Moral alignment: Usually neutral good and sometimes chaotic. Wand: Made of withe heart of Phoenix dactylifera with core of Griffin's Feather, 12"
It was just parents’ concerns and stress of facing the unknown at first, but after becoming a student of Hogwarts and learning more about the other aspects of society more knots appeared in threads of Anita’s life. First of all she learned about wands and asked herself whose wand she was using and why. She didn’t dare to write to Uagadou to ask about it as if she was afraid of learning the truth. Second problem was getting used to children of wizards and witches. Their culture and life styles was so different that it took her some time to get along. But the most important issue was a delicately cover feud between pureblood and muggle born. It was the ugliest aspect of the magical society to behold and soon Anita knew her place; she wouldn’t pay a fig for blood. Hufflepuff is the house of Just and Law and she is going to keep it that way strongly. Extra information: Anita’s parents work for a trading corporation. That’s why they are always traveling between countries. I too, can fill up the spaces for houses that requires an OC-- I'm not very picky about it. Though, if no one wants the spot, I'd like a Ravenclaw female who's probably a half-blood. A tomboy by nature, Will may not physically suit the tomboy trope but once you get to know her, be sure to always be ready to tussle around playfully as she has no sense of personal space whatsoever. A very outgoing and bubbly person, Will is known to be a rather welcoming individual who understands the fear of being isolated and alone. She's most likely that one person who always says hi to you when the two of you pass by each other in the hallway. Quidditch and physical activities she excel in and as such, she is known for being quite the active individual, whether physically or mentally. Though, because of her straightforward mindset alongside her short-tempered self in most situations, she tends to be rather blunt in her spoken words and this could essentially lead to arguments. Having said so, her stubbornness makes for her to only admit her wrongdoings later on and also contribute to her rather rebellious and at times, childish side that demands to be proven right. OC: It's okay, no one is born smart. OC: No like, less intellectually-inclined? OC: i mEANT LIKE YOU KNOW, NOT VERY.....BRIGHT???? NPC: yOU JUST CALLED ME DUMB AGAIN. Personality: Shy for those Alex doesn't know, and very open and warm for those Alex does know. Sorry guys, I'm going to have to opt out. I'm not comfortable with role playing with this many people, and I don't think people will like the character I have in mind. Sorry everyone. Wand: 11', Black Thorn Wood, Horned Serpent Horn. That's a pity. I wish you'd give us a chance to know your character. I usually don't like most of them so you should be worried about that! Made two rough sheets because I can't decide, since I'm guessing it's one per person I promise to choose one of the two eventually. Will probably wait to see who balances things out best. Also curious would everyone be entering as a 15 year old if it's the 5th year and then aging or no? Not sure as I assumed Hogwarts worked like most UK schools. Personality (rough, would be updated): Nelly wears her heart on her sleeve and is unflinchingly steadfast in her beliefs. Governed by a strong moral compass Pandora tries to do her best by the world. She is idealistic and principled with a deep sense of justice and a hatred for what she deems unfair. Her idealism leads her to be extroverted and confident as she likes people and wants to see the best in everything and everyone. Her morality can get tiring or frustrating for others as she'd much rather do what she feels is right over what is viewed as conventional, though she tries not to be she can sometimes have a preachy or holier than thou attitude. Oliver is impulsive and easily ruled by his emotions, finding it hard to trust people - including himself. He can also be overly sarcastic or rude towards those he doesn't really know, making rash calls and decisions without weighing up how it'll affect those around him. He tends to only consider himself in the short term, leading him to hurt those around him without really meaning to. However when he does trust someone he can be one of the most loyal friends a person can have, willing to do anything to help them. He doesn't have a strong sense of morality, willing to do anything for himself and those he cares about. Quidditch Position: He's not on the Quidditch team. Pet: An owl named, by his little sister, Flake. 5th years only. I'm not really interested then. I would like to join if this is still active? I hope it's still active. Perhaps OP hasn't been around the past days, @JustJazzy ? I’m sorry everyone! I’ve had some terrible internet and data connectivity issues the last few days. I just commuted to my college which is really far away and I haven’t been able to get on the wi fi. That aside, anyone’s whose still interested, I’ll have a thread & more info up sometime tomorrow! Is that thread available? I'm afraid I've not received alerts. Same, and I keep waiting. @JustJazzy how's your internet? Have you forgotten about us?